Skiing is THE family activity. 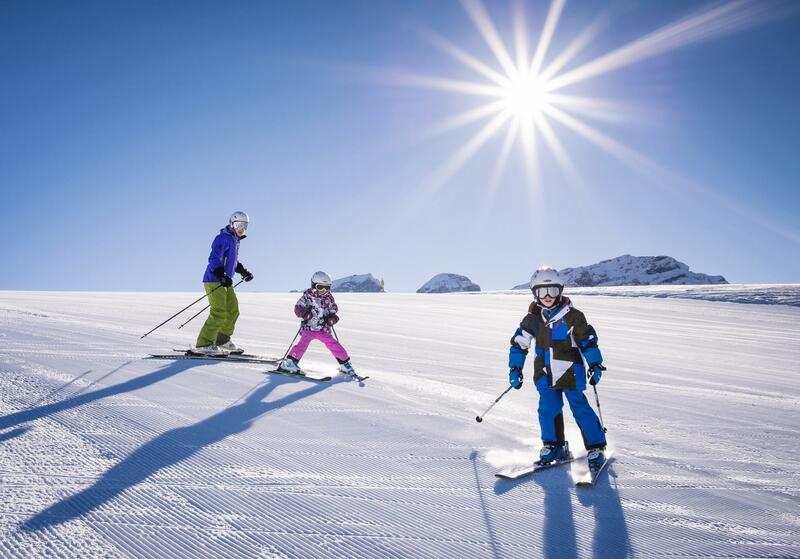 In Switzerland, children learn to ski at a very early age so that they can follow their parents on the tracks and thus spend sports holidays outdoors and with the family. In the canton of Vaud, there are many places dedicated to introducing children to skiing. Wide and gentle slopes, treadmills and other sliding games: the snow gardens in the Vaudois ski resorts have all the equipment necessary to guarantee a fun learning experience for kids. To motivate them, funny mascots such as the “Snowli” rabbit are sometimes used. Some snow gardens leave the children under the responsibility of their parents, others offer professional coaching or even collective and private ski lessons. Good to know for those parents who sometimes just want to race down the slopes in the company of other adults. Some ski areas even work together with local childcare centres and have a heated room where the children can relax, have a bite to eat and play indoors after their ski lesson until their parents come back. For the young learners who tear down the slopes almost like grownups, the Swiss Ski Schools, for example that of Diablerets, Villars or Château-d’Oex, provide group or private lessons for all levels.